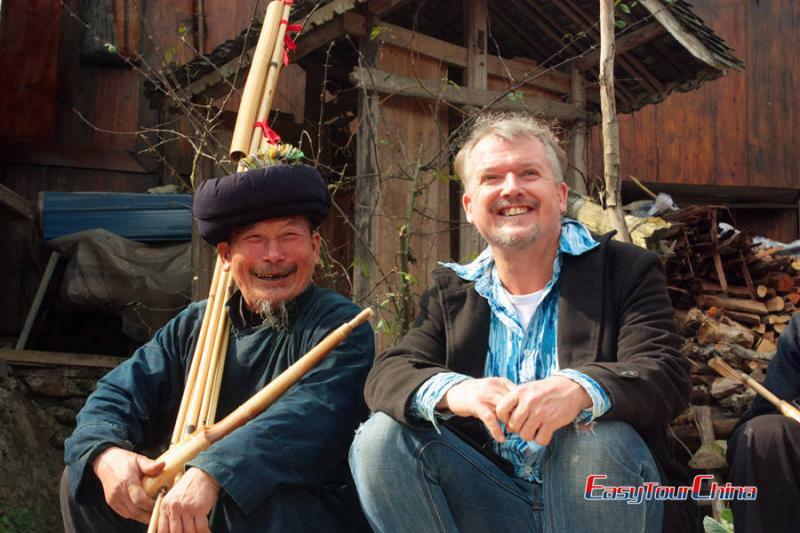 This is a great route to view the best of Guizhou especially when there’s a time limit. 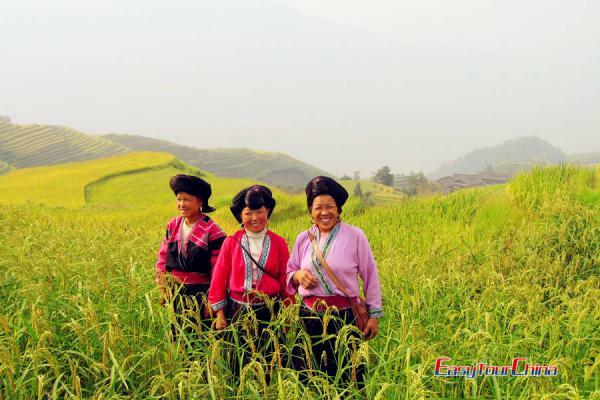 Discover the natural landscape, splendid cultures and enjoy the unique dance and song performance by local people… And you will visit other popular scenic spots including Jidao Miao Village, Shiqiao Miao Village, Langde Miao Village, Datang Miao village, Matang Gejia Village, Shidong Miao Village. This will be an interesting trip for you. You will be met at the airport and transferred to the hotel. 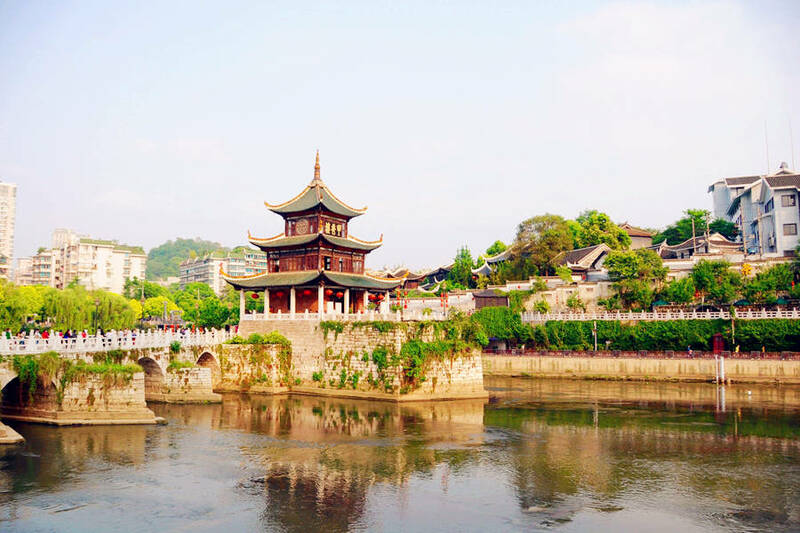 If time permit, pay a visit to Jiaxiu Tower first built in 1598, the symbol of Guiyang. Overnight at Guiyang. Drive to visit Long-skirt Jidao Miao Village, Shiqiao Miao Village - where you will see the traditional way of making paper. Home stay of Jidao Miao Village, a unique experience at wooden stilt houses of minority people. 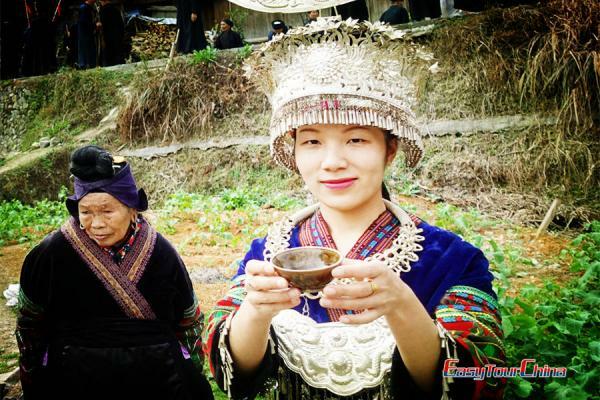 A 3-hour hike near Langde Miao Village, and visit the short-skirt Datang Miao village in the afternoon. Overnight at Kaili. 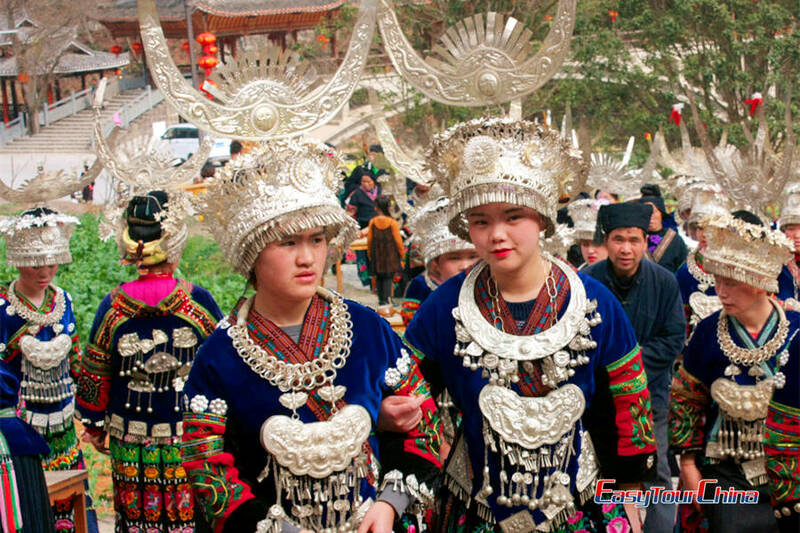 Transfer to visit Matang Gejia Village, Shidong Miao Village famous for silver crafting. Overnight at Kaili. Drive to back Guiyang in the morning (200km, 2.5hrs). Transfer to the airport and fly to your next destination.